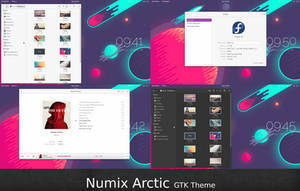 Package contains 8 versions of gtk3,gtk2,metacity,unity,xfwm4 and openbox theme. Gtk3 theme has customizable color.You can setup any color you want,just open file settings.ini and change value of 'selected_bg_color'. 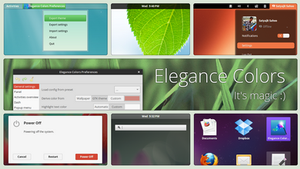 If you use mostly gtk applications you can use Flattastic themes. 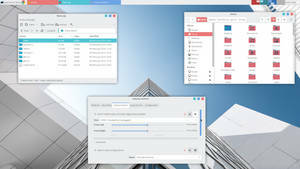 If you use a lot qt application it is recommended to use Flatastic-Light themes,because Flatastic theme has text color problems with qt applications. It is unsolvable. If you have some problems with Flatastic themes and gtk apps just send a bug report here,and I will try to fix it(do not send for qt apps). 07.01.2014. 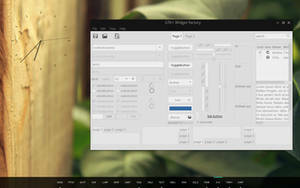 * Fixed problems with MATE panel and added marco theme. 13.01.2014. * Increased font-background contrast. But I think that there are some bug. 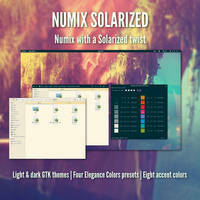 I am using it on XFCE4 and Debian. snag.gy/mucY64.jpg The label for unchecked checkbox is visible while that of checked one is not. imgur.com/M7P3ofJl.png Here there is no background color for a text input field. Hey I installed it but the windows won't change. Neither do minimize, close and maximize buttons. 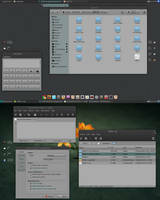 I have tweaks in elementary OS freya. God, I love the green one! Nice work!!! I've made a style for the Firefox extension Stylish that unifies its appearance with other programs when using this theme. 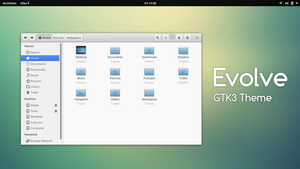 Can you upgrade it to support gtk 3.18? 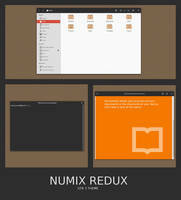 I have added theme to Ubuntu 14.04. I get all the dark window decorations. Has that been changed? Even if i select flattastic light? does not change the window frame. 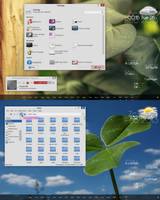 I can't set metacity theme on Gnome Tweak Tool (Gnome Shell 3.12), it's not on the list. What can I do? Flattastic-Fedora. May need some polish. can you share your mods with me? Is it just me, or is the title bar on epiphany off-center? 5) Restart Chrome and it should be fixed. Hi! i just tried your fix, but nothing happened!, Chrome still have the problem while hovering the mouse in the menus! Is it possible something had changed? THX Man!!! You made my Day! That was the only thing that was disturbs me in the Theme!! nice! can you do a version w/o the round window widgets, overall square window frame + widgets? 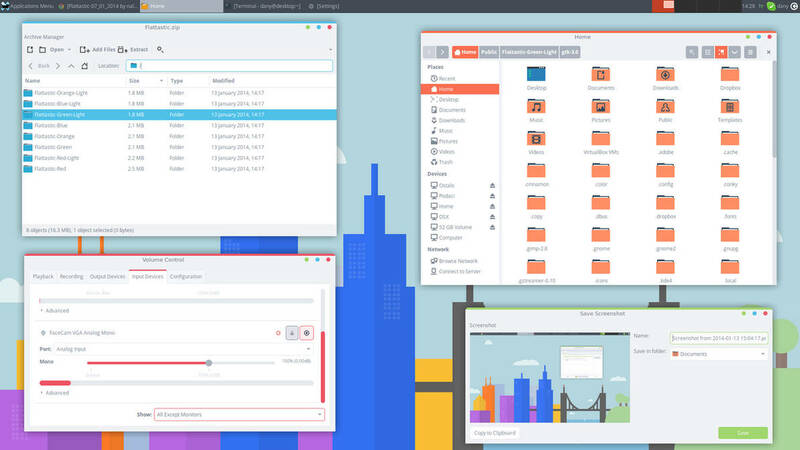 Hey Nale, great theme, just one problem though, the window close, minimze, and maximize buttons in inactive windows are a bit messy looking on Ubuntu 14.04. Would really appreciate a fix. hey, what icon pack you're using? If you are using this on Ubuntu 14.04 Trusty Tahr ***with Unity***, then don't waste your time like I did with trying to align the "close, minimize, maximize" window controls to the top right of the window. From 14.04 it is not possible anymore by design. Hi! I'm trying to change the colors and one of two things happens, it either gets rid of the flat look or it doesn't change at all. Beautiful theme! Another bug: Midori 5.8: when you type text in the address bar, the menu that pops up is illegible. 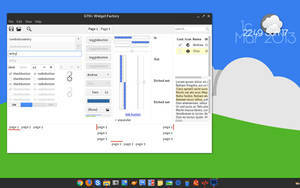 I'm using Ubuntu GNOME 14.04 by the way, Flattastic Light. And there is a problem with chrome/chromium menu bar or popup menu. The item selected is white on my xfce4.10. 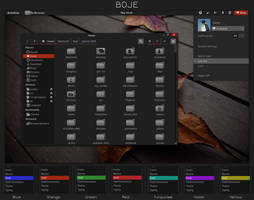 I modify gtk-2.0/styles/menu-menubar bg[SELECTED] in style "menuitem" to bg_color. And it's work for me. Thk your work. Sorry my english, i'm Chinese. That's sort of the same as the quick-and-dirty fix they suggested. But like they say in the link, this will break LibreOffice menus though. So it depends what you use more often: Chrom(e|ium) or LibreOffice. i was wondering about a solution for this annoyng withe/white selected menu in chrome! On Ubuntu Gnome 14.04, when you full-screen Nautilus or Gnome Tweaks (and possibly other applications that use header bars), the top of the header bar will lose its color and instead become black and lose its roundings. Is there a github or something where we can file bug reports? 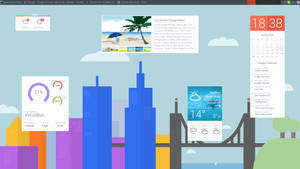 2 - As this is a theme with light colors, Firefox buttons (back, forward, bookmarks, home, etc.) should be dark, and not white as they are right now. hi, i am a new user of Eos . i want to ask how to use the theme after i downloaded it ? Copy the theme to /usr/share/themes. You can apply the theme from elementary tweaks. AWE-SOME theme! It looks great, even with Qt-applications! Keep up the good work, and all the best to you, sir!